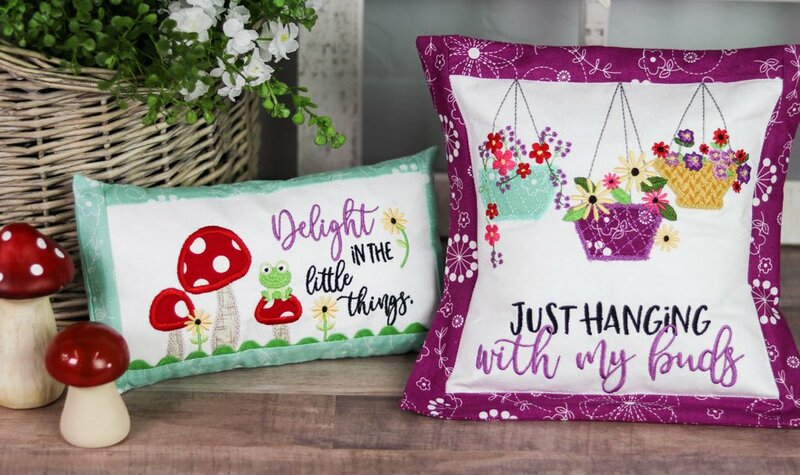 Monthly Bench Buddies are coordinating petite pillow series following the format of Kimberbell's popular bench pillow patterns. Make a new pillow cover each month, then switch out the pillow form as the season and holidays change. Two different designs for each month fit our Kimberbell pillow form: 8" square and 5 1/2 x 9 1/2" rectangle. Bring your embroidery machine and applique' scissors. Fabric kits available for $14.99-17.99, include backing, embellishments, and applique' (fusible). You are welcome to bring your own or buy your fabric.